I am proud to be the first customer to enter KFC Bourke Street + first customer to purchase the all brand-new KFC Zinger pie today (10 September 2013). A handful of KFCs stores in Australia had a …preview sale of the pie yesterday but today is the official release date. The pie was handed to me in less than 15 seconds after I paid for it at the counter by a friendly staff there. I overheard one of the kitchen staff in that store shouted out that he had yet to taste the pie. Boy … I really feel like a winner in that store. The size of the pie was reasonably larger; big enough to be one’s meal. It was perfectly round without any defects and the pastry is crunchy, fluffy and burning hot from the oven. I really like the pastry, the kind that any good pie should be. The structure of the pie is maintained using an aluminium foil pie cup/holder – you need not worry that the pie will deform as it is in-transit to your salivating mouth. KFC is generous with the filling, ¾ full, all contained in the pastry. There are reasonably bite size chunks of real KFC chicken meat in it along with some really tasty gravy. The gravy is a bit spicy but not to a level you cannot tolerate. If you are familiar with the Zinger burger, that is how spicy the gravy is. I would call it peppery spicy. The chicken, infused with the tasty thick gravy is tasty enough that you need not add additional sauces/ketchup. 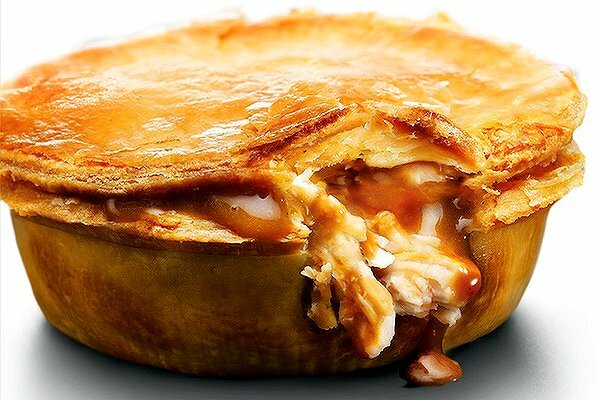 To describe the pie and how it taste and taste, just imagine shredding the KFC Zinger chicken meat into bit size pieces and mixing them into KFC’s mashed potato gravy; marinate and cook it overnight; injecting the filling and gravy into a nice pie pastry; this is the Zinger KFC pie. I just hope that KFC is able to maintain a consistent standard to all the Zinger pies across all KFC stores, like the one I just had. If they can do that, I reckon KFC should win some pie awards. The whole KFC Zinger pie as a package is a winner. I would not hesitate to recommend the pie to anyone who is after a nice piece of chicken pie.